1. You can always find somewhere to eat. Princeton has many, many restaurants throughout the town. Winberrie’s, Teresas’s, Mediterra, Witherspoon Grill, Elements, Triumph, and Agricola are some of the best restaurants. Each has a different menu and style that makes them very unique. Not only are there restaurants, there are quick grab and go places. Olives, Jammin’ Crepes, Chuck’s Wings, The Soup Man, Say Cheez, etc. are the perfect places to get a fast meal. 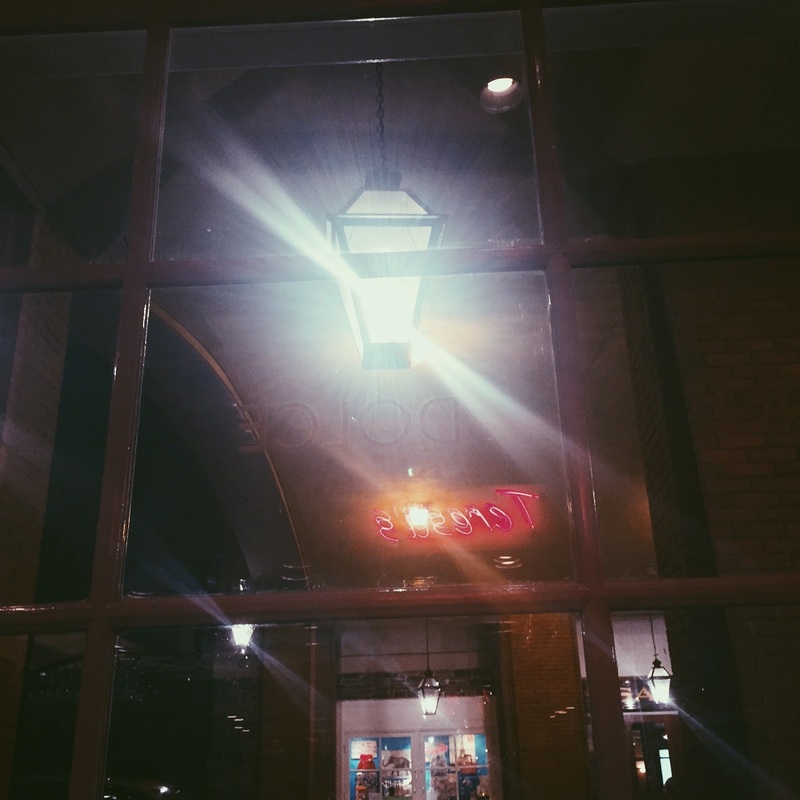 There are also your favorite chains in Princeton such as Panera, Qdoba, and Starbucks. Between Halo Pub, Bent Spoon, and Thomas Sweets you will not be unpleased with your choice. Halo Pub has their famous homemade ice cream. The milk and cream comes from their cows at Halo Farm; this means no growth hormones! They offer over 45 different delicious flavors. My personal favorites are M&M and coffee chocolate almond ice cream with chocolate sprinkles. Bent Spoon is a little bit different. They make sorbet, ice cream, cookies, and cupcakes. I have to admit everything at Bent Spoon is TO die for which makes sense because it is rated one of the best ice cream shops in New Jersey. My order is dark chocolate sorbet with either mango sorbet, raspberry sorbet, coconut sorbet or whatever ice cream flavor they have for the day. 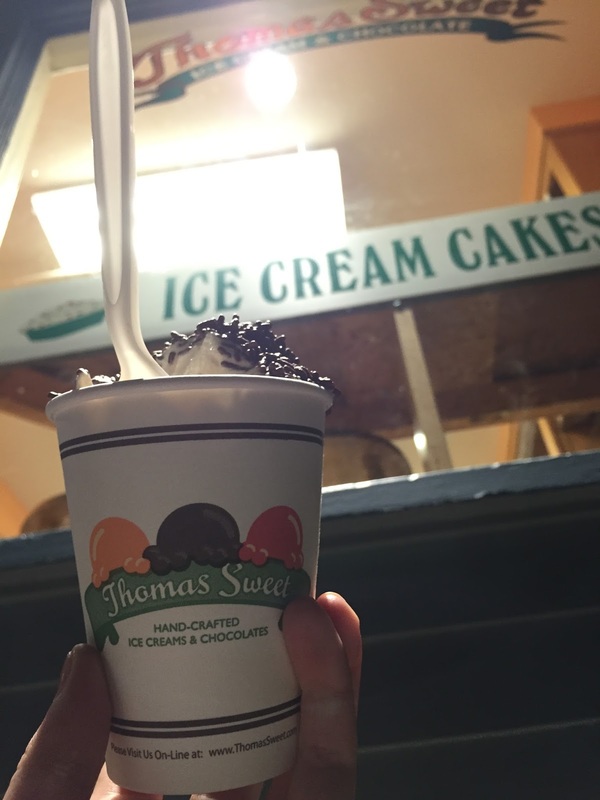 Lastly, Thomas Sweets is known for their blend in. A blend in is any ice cream flavor you want with any topping you want blended into the ice cream. This portion is very big so if you are still hungry after your meal, I would suggest getting this. My favorite blend in is either nutella ice cream with reese’s blended in and nutella fudge on top or vanilla ice cream with kit kat – its a very hard choice! As I mentioned before, Teresa’s is one of the best restaurants in town. Not to mention it also has some of the best pizza you will ever have. Their personal pies are extremely fresh and change every season. Their most popular one is the ensalada de pizza which is a salad with grilled chicken on top of pizza crust (if you cant tell, I highly recommend this). 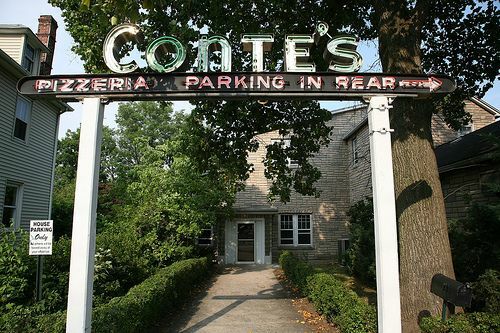 There are also many other “grab and go” places that you can go to such as Conte’s, Pizza Pi, Massimo’s and The Slice Between. Since most of the restaurants are bars, this means there is night life. People over 21 have many options for going out at night. Winberrie’s, The Alchemist and Barrister, Triumph and the Ivy Inn are perfect places to go for adults. I personally have never been but, once I turn 21 I will be making an appearance at these places :). 5. Even if your aren’t preppy, there are places to shop. Princeton is not only for eating; there is plenty of shopping! The town is mostly known for how preppy it is. Ralph Lauren, Jack Wills, Ann Taylor, J. Crew, and Sperry make up the preppy stores. There is also Urban Outfitters, lulu Lemon Athletica, Jazams, Barbour, etc. that spice up the style. There are also two consignment shops to make Princeton a little different and to buy some vintage/original pieces that you can’t find anywhere else. 6. Who wants Princeton apparel? When you come to Princeton you have to purchase some kind of apparel! Luckily the bookstore is located right on Nassau Street so it is very convenient for tourists to find. The bookstore contains many sweatshirts, sweatpants, t-shirts, shorts, long sleeve shirts, accessories, hats, stuffed animals and much more. You can never leave the bookstore empty handed, trust me I have tried many times. 7. Or see the campus? The campus of Princeton University is one of the most beautiful places I have ever seen. It is known for its stone architecture and landscapes. There are many hidden places throughout the campus. There is a flower garden that is always in full bloom during the spring and summer. This is a great spot to relax, take pictures or hang out with friends! There is also many seating areas to sit and do your work outside or to enjoy the fresh air. Walking through the campus of Princeton is a sight to see and it is just as nice as all of the pictures on Google. Who wants caffeine? Luckily, Princeton has many coffee and tea shops throughout the town. The most famous and popular place to go are Small World Coffee, Starbucks or infini-T. These places are always packed with college students or townies. They love to sit and enjoy the atmosphere of the shops and the fabulous drinks or pastries that they provide. There are people constantly walking around Princeton; even when it’s freezing! It is a very friendly environment with constant festivals and events to keep the community together. Everything is pretty to look at in Princeton! The architecture throughout the town and campus is absolutely stunning. Since there are so many shops and restaurants, there are constantly people walking around looking for things to do. It is the most enjoyable place take in the scenery. Of course I saved the best for last! Hoagie Haven is one of the most well known sandwich shops in the town. Everybody goes into Hoagie Haven for their favorite sub as a late night snack, dinner or lunch. This place is famous for their creatives subs that people love. The Phat Lady, Sanchez, Mac Daddy, Heart Stop, etc. make up this delicious menu. If you ever want to have a “different” kind of sandwich, this is the place to go (especially at 2 am! ).